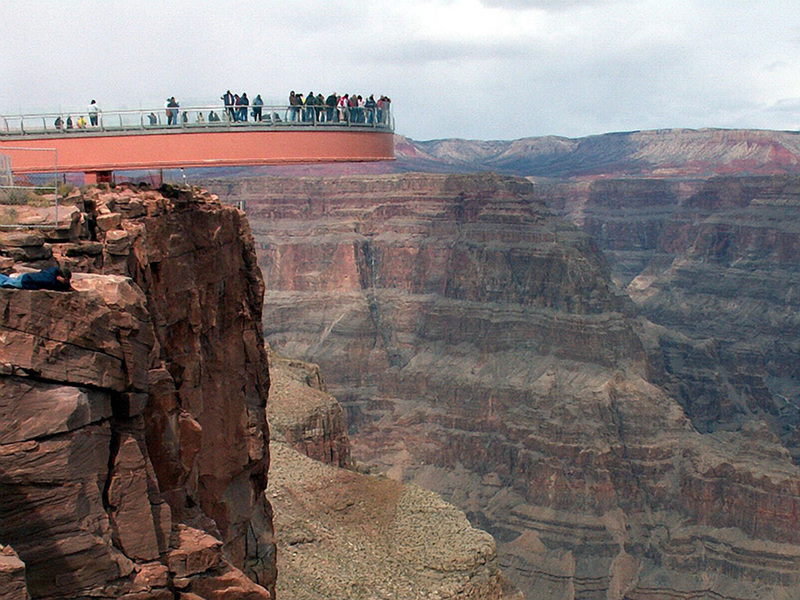 DAY 1: The Grand Canyon is considered one of the SEVEN WONDERS of the NATURAL WORLD. is a steep-sided canyon carved by the Colorado River in the state of Arizona. 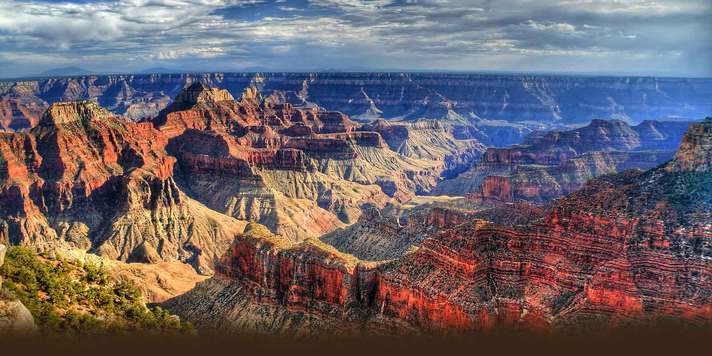 .The Grand Canyon is 277 miles (446 km) long, up to 18 miles (29 km) wide and attains a depth of over a mile (6,000 feet or 1,800 meters). 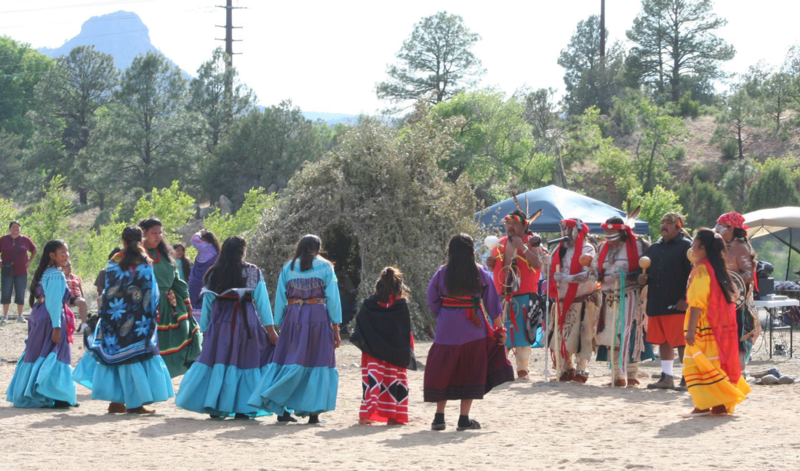 For thousands of years, the area has been continuously inhabited by Native American indians who built settlements within the canyon and its many caves. DAY 2: Imagine you’re standing on a platform made of glass. The rim of the Grand Canyon is 70 feet behind you. The other side of it is 3 miles in front of you. Then you dare to look down and see ………… nothing – nothing but 2,000 feet of air between you and the bottom of the Grand Canyon. Until recently, a sensation like this could only be experienced in dreams. 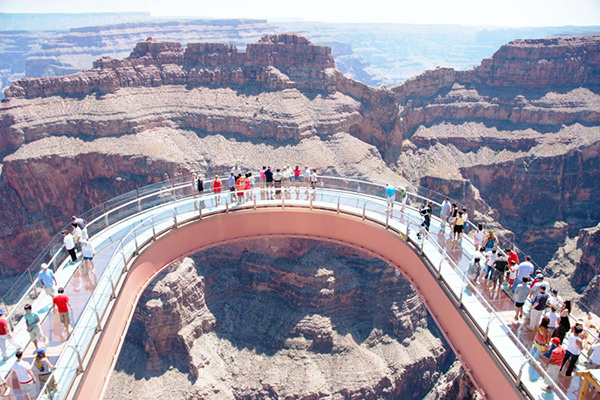 But now, on the Hualapai Indian Reservation that is just East of Las Vegas, dreams and reality will meld into one with the Grand Canyon Skywalk. 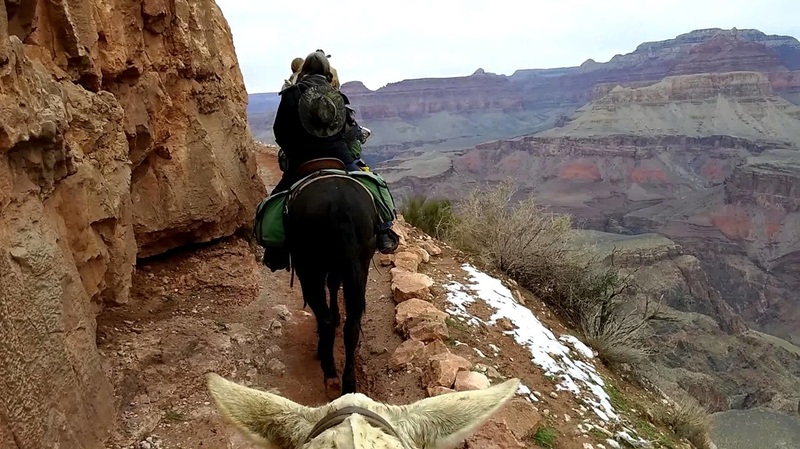 DAY 3: Want to take a mule and ride to the bottom of the Canyon? It is a little scary... South Rim Mule trips may be booked 13 months in advance and fill up early. If you wish to make a trip into the canyon on a mule, plan ahead! Want to spend the night in the canyon --you can. 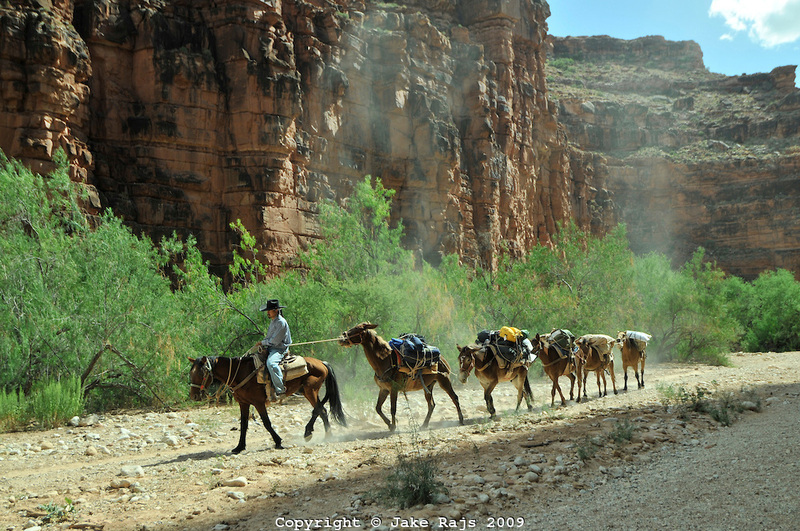 Ride your mule to the bottom and stay the night at Phantom Ranch, near the Colorado River. It costs about $600 for one person. 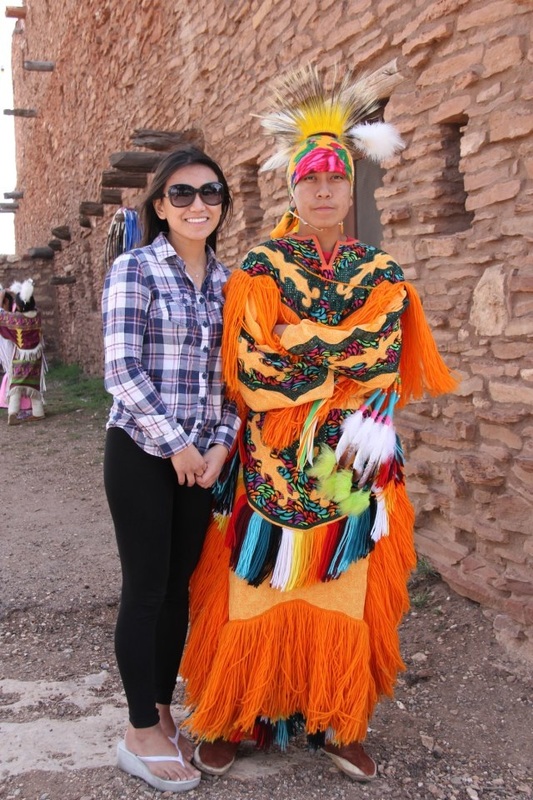 DAY 4: HAVASUPAI means people of the blue-green waters. The spectacular waterfalls and isolated community within the Havasupai Indian Reservation attract thousands of visitors each year. 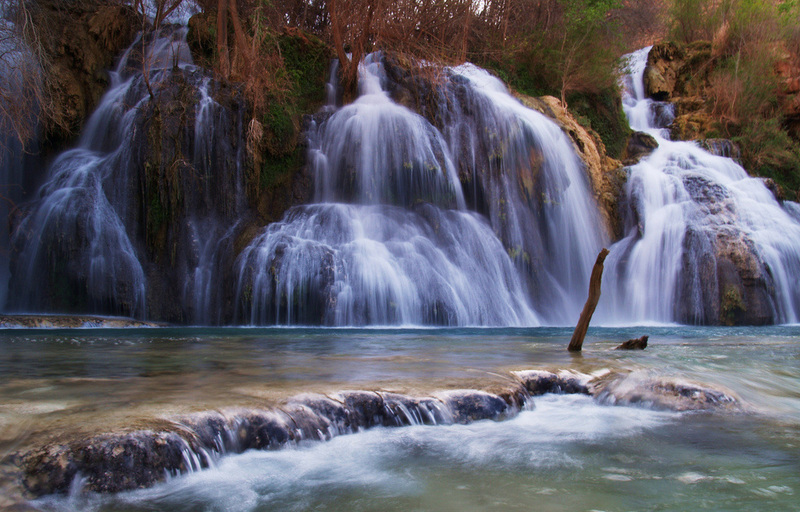 The Havasupai are intimately connected to the water and the land. 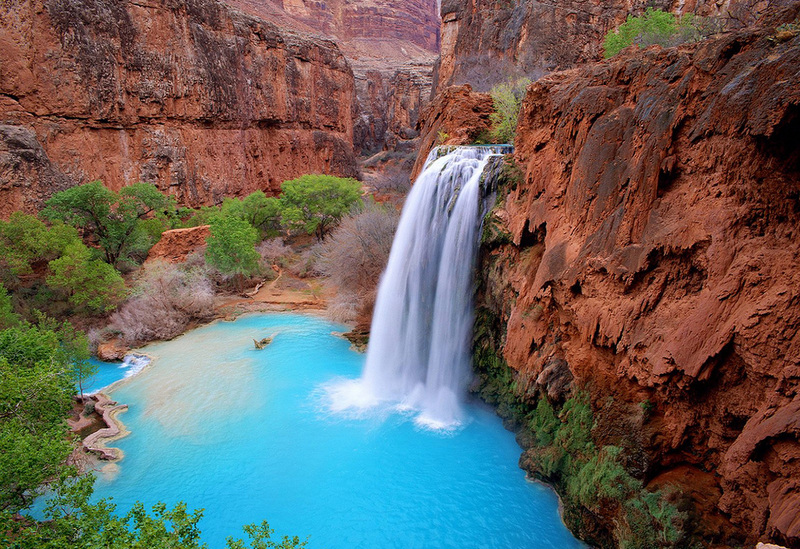 This blue- green water is sacred to the Havasupai. It flows not only across the land, but also through each tribal member. When you enter their land, you enter their home, their place of origin. DAY 5 - ANIMALS -- THE GRAND CANYON! Of the six rattlesnake species spotted in the park boundaries, one has an unusual pink hue that matches the local rocks. 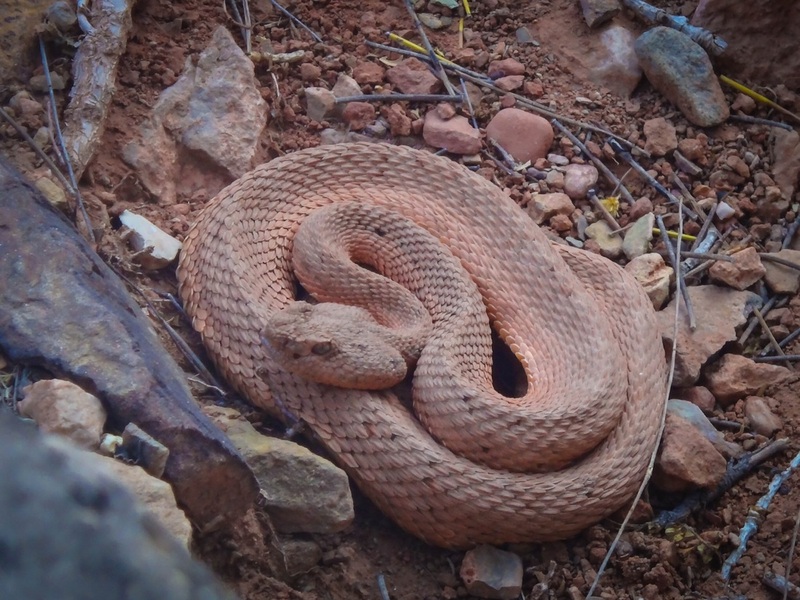 The Grand Canyon pink rattlesnake is the most common snake in the park, startling hikers as it suns itself on rocks and sandy trails, searching for lizards to eat. 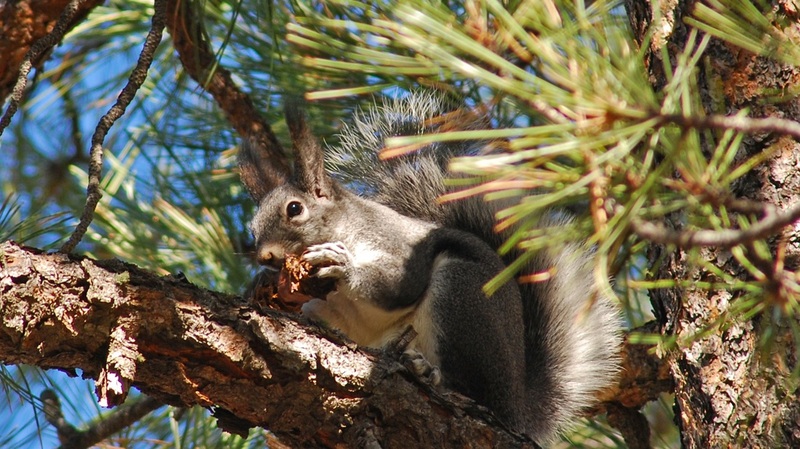 Abert's squirrel, also called the tassel-eared squirrel, is one of the most commonly seen mammals at Grand Canyon National Park. 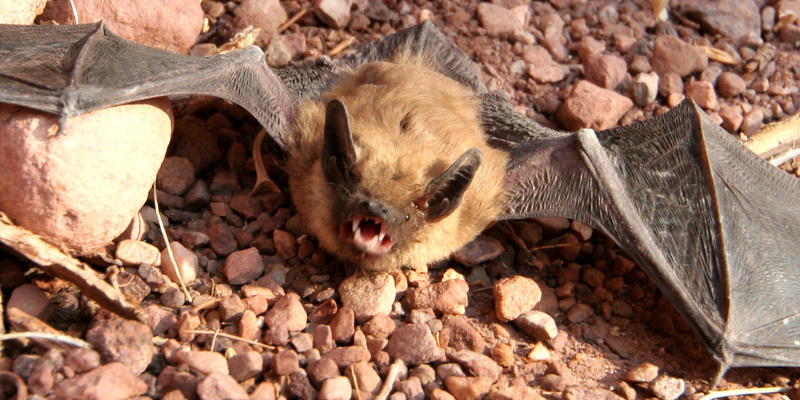 Grand Canyon National Park is home to one of the highest bat diversities anywhere in the United States, providing habitat to 22 species of bats. 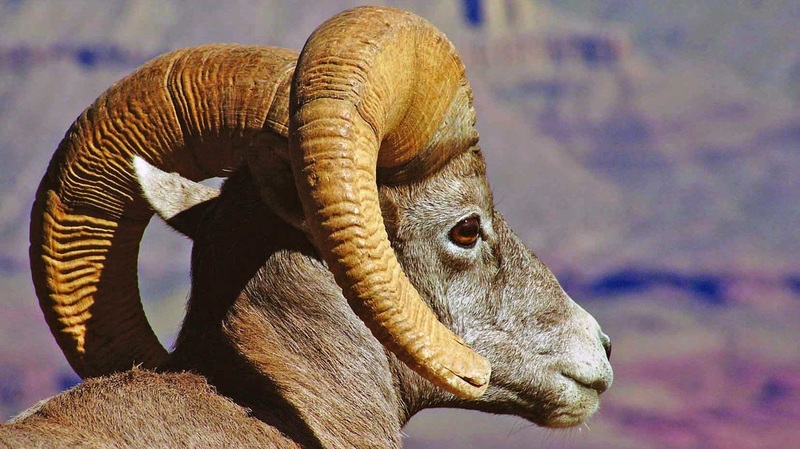 One of the largest and most recognized of Grand Canyon National Park's wildlife is the desert bighorn sheep. 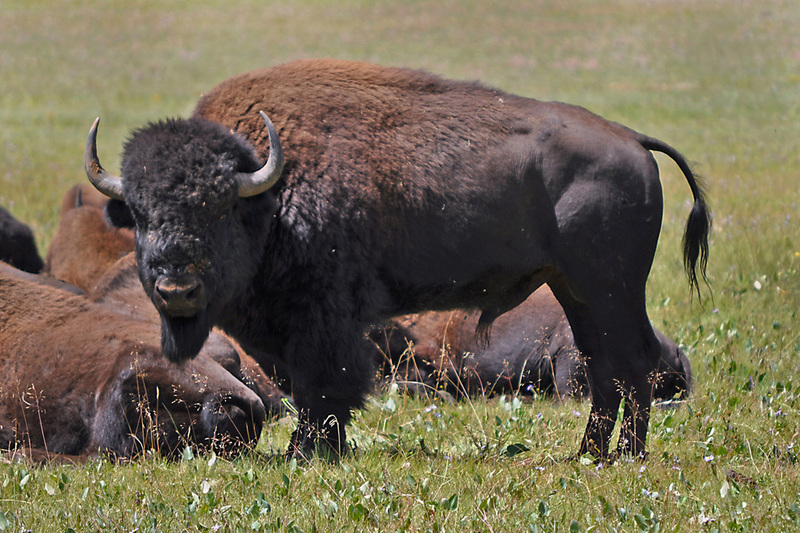 American bison are the largest land-dwelling mammal in North America, weighing over 2000 lbs (900kg). Unlike bison you may see in Yellowstone, the bison found in Grand Canyon National Park are not native and are a hybrid between American bison and cattle, and were introduced to the area in the early 1900s. Currently, bison are only found on the North Rim of the Grand Canyon. 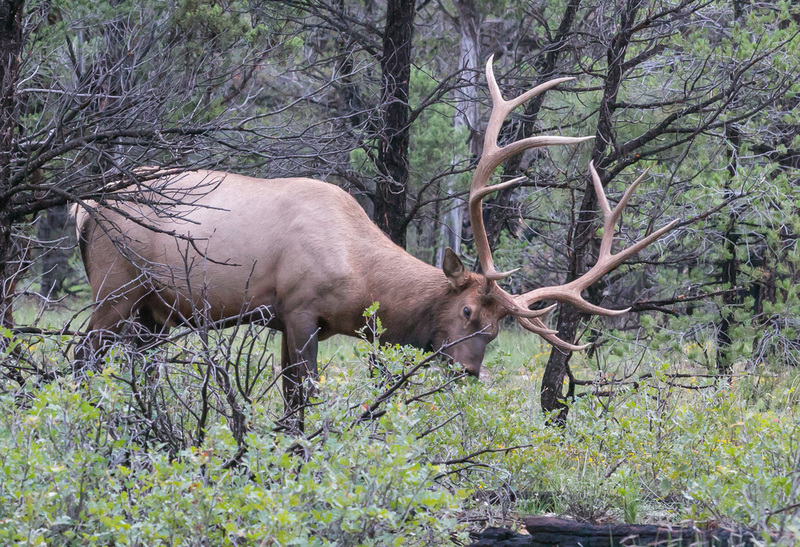 Elk are the largest member of the deer family (Cervidae) in Grand Canyon National Park. 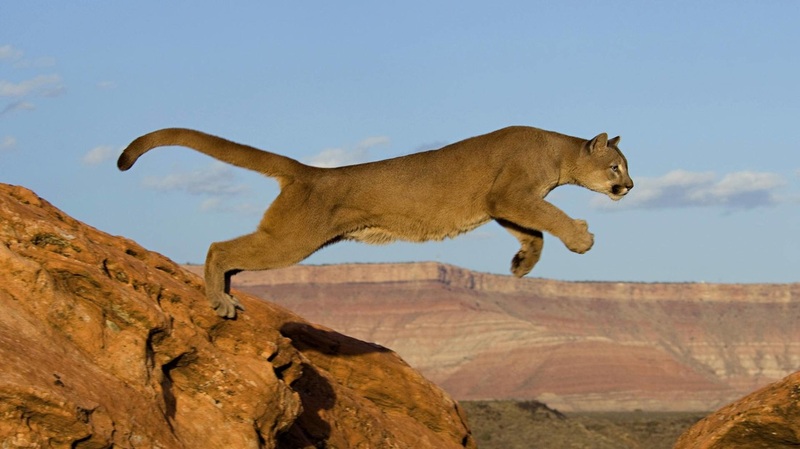 Mountain lions are the largest predators found in the Grand Canyon. 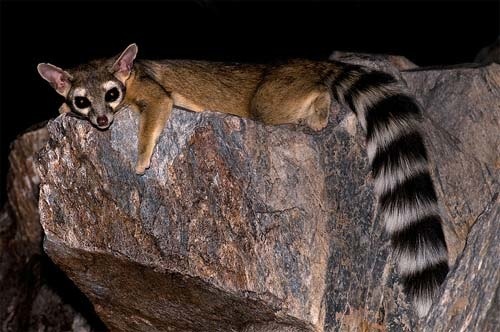 This small mammal, often called a ringtail cat, miner's cat, or bassarisk, is Arizona's state mammal. "Mammals - Grand Canyon National Park (U.S. National Park Service)". Nps.gov. N.p., 2016. Web. 8 Sept. 2016.